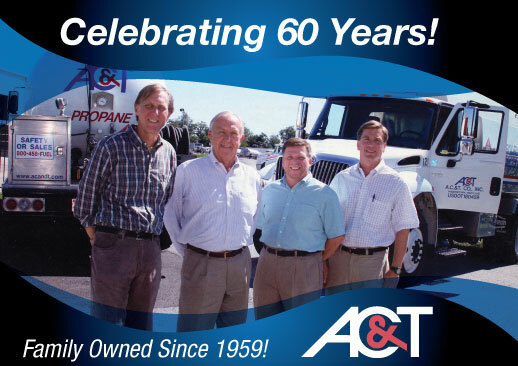 For over 60 years, AC&T has been providing residential and commercial services in the Tri-State area. We offer the full line of wholesale and retail petroleum products. Our company handles the transport and delivery of petroleum products, as well as home and business heating and air-conditioning products. Our professional travel center and convenience stores offer many modern services. We also provide commercial and residential waste pumping and transportation services in addition to our environmental services including hazardous material removal and spill cleanup. AC&T is also the area´s largest supplier of portable toilets. We are excited to announce the addition of our Mobile Storage Division. We will rent 20' and 40' storage containers, over the road and storage trailers. We have specialized trucks for pick and delivery to the customers job site/location. All storage units are inspected for security, weather-resistance, and cleanliness before they leave our yard. We have competitive rates and large inventory available for immediate delivery.